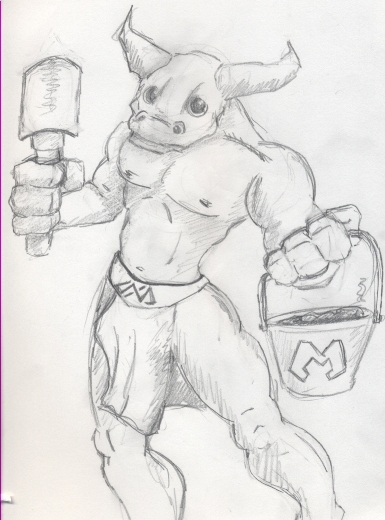 Minos Fanart!!! Yes it's authentic! It was given to us by Jon Anderson, and we are still debating whether the M on the bucket stands for Minos or Manure. It brought tears to our eyes. Thank You so much for this great drawing.